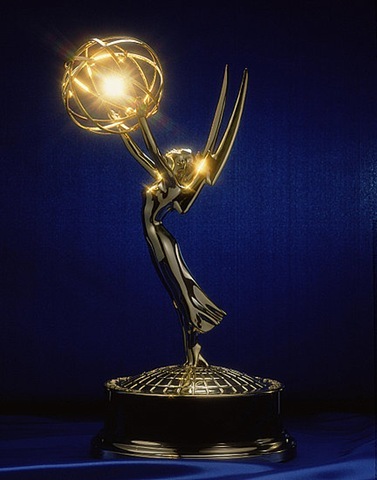 2015 TCA Awards Nominations: HBO Leads With Seven! The Television Critics Association has released its nominations for the 2015 TCA Awards, celebrating the best in television programming over the last year. 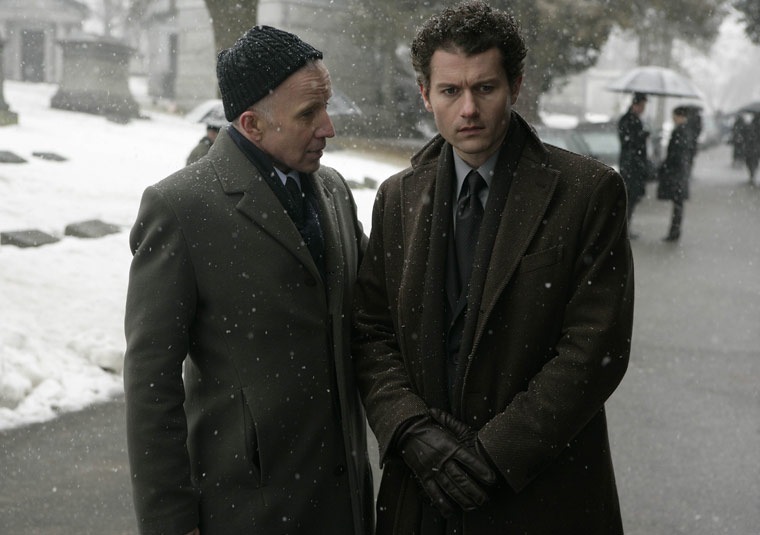 As usual, HBO led all networks – cable or broadcast – with seven noms. FOX’s acclaimed and popular Empire and Amazon’s unique and groundbreaking Transparent lead the way with four nominations apiece. The final season of AMC’s Mad Men, FX’s brilliant The Americans and The CW’s terrific take on telenovelas, Jane the Virgin each grabbed three nominations. The complete of nominations follows the jump. The 31st TCA Awards will be presented Saturday, August 8th. Mad Men Season Seven: First Photos! AMC has released three photos from the final season of Mad Men. They show Don (Jon Hamm) and Peggy (Elizabeth Moss) sitting in an airport waiting area; Don and Roger (John Slattery) getting refreshments while on a flight, and Don and Megan (Jessica Paré) outside a Trans World Airlines airport entry. Peggy and Don look like they’re together – but not together; Don and Roger might be on a work trip (if so, is this a flashback or is Don back at the firm), and are Don and Megan going somewhere together or is one seeing the other off? Or are there other interpretations possible? This is Mad Men, after all. Check out the photos after the jump. 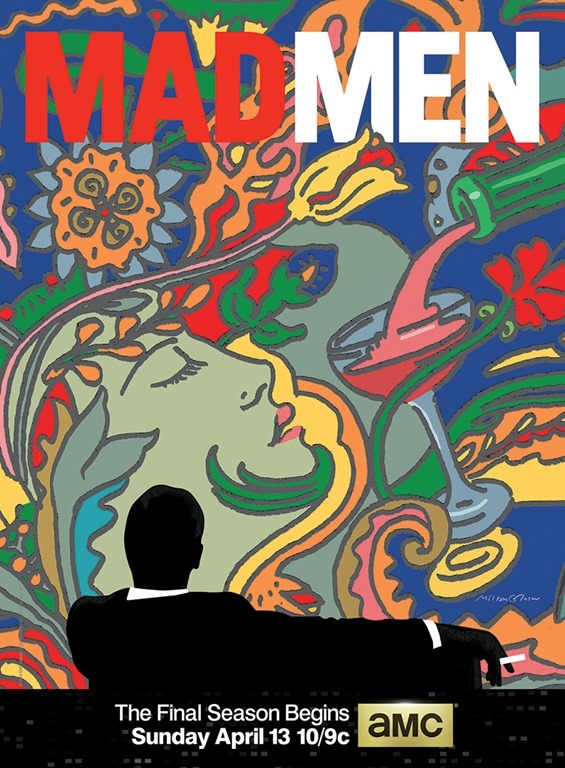 Mad Men returns to AMC on Sunday, April 13th. 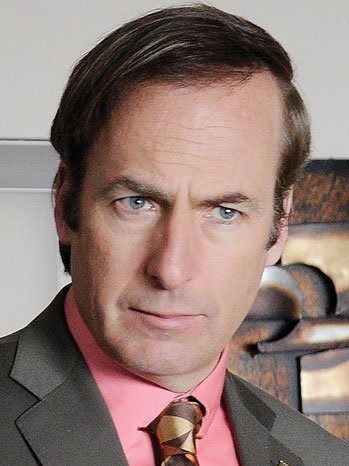 AMC Announces 2014 Premieres: Better Call Saul Debuts in November; Mad Man Returns in April! AMC announced today that Breaking Bad prequel series Better Call Saul will debut in November (exact date to be determined); Revolutionary spy series Turn will get a 90-minute premiere on April 6th, and rise of the PC series Halt and Catch Fire will debut this summer. New unscripted series Game of Arms is scheduled to debut of Tuesday, February 25th. The first half of Mad Man’s split final season begins on Sunday, April 13th; Hell On Wheels returns this summer; Small Town Security and Freakshow return in May. AMC’s most popular series, The Walking Dead begins the second half of season four on Sunday, February 9th, following by Talking Dead and comic book men. Both The Walking Dead and Talking Bad have been picked up for a fifth season. For more details, check out the press release after the jump. Teaser: Mad Men Season Six: It’s Time to Grow Up! In its penultimate season, Mad Men will not ‘be what you’re expecting,’ says Jessica Pare´ – unless what you’re expecting is ‘great costumes and big hair.’ It’s also time for Don ‘to start growing up,’ adds series creator Matthew Weiner. Check out the teaser for season six of Mad Men. 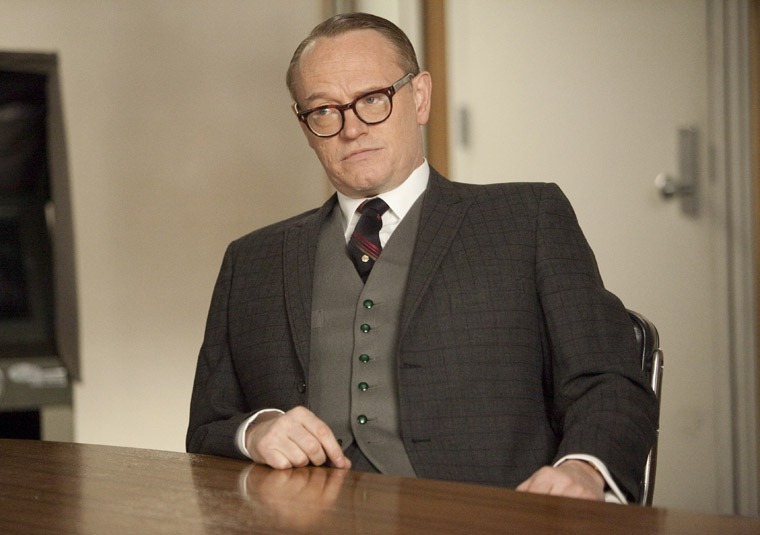 Mad Men’s Jared Harris On Lane Pryce’s Fate! Jared Harris’ run on AMC’s Mad Men came to a conclusion on Sunday when Lane Pryce mad a shocking choice after being confronted by Don Draper over a forged check. On Monday, Harris spoke with a group of journalists/bloggers about his run on the cult hit series – and Lane’s fate in particular. As Mad Men starts its fifth season, David and Leah look back at the cultural impact of the show and what can be expected in the new season. Mad Men follows the world of marketing in New York City in the early to mid-1960s and the people who sell those dreams. Starring Jon Hamm, Elisabeth Moss and Vincent Kartheiser, Christina Hendricks, January Jones and John Slattery. Created and produced by Matthew Weiner. It’s A Conspiracy – AMC Cancels Rubicon! Given that it never achieved the kind of ratings gotten by Mad Men and Breaking Bad, I guess it makes sense that AMC, after getting extraordinary ratings for The Walking Dead, would choose to cancel its suspenseful conspiracy series, Rubicon. AMC’s third series [and first cancelation], Rubicon was smart, finely textured, richly detailed and mesmerizing. And now it’s gone. A statement from the network says, "Rubicon gave us an opportunity to tell a rich and compelling story and we’re very proud of the series. This was not an easy decision, but we are grateful to have had the opportunity to work with such a phenomenally talented and dedicated team."